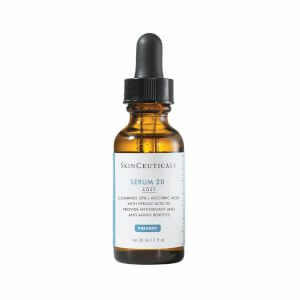 SkinCeuticals Blemish + Age Defense combines 2% dioic acid with an optimal alpha and beta hydroxy acid formulation designed to prevent the formation of acne, minimize hyperpigmentation and reduce the appearance of fine lines and wrinkles. A targeted, oil-free approach to treat adult acne and signs of aging. 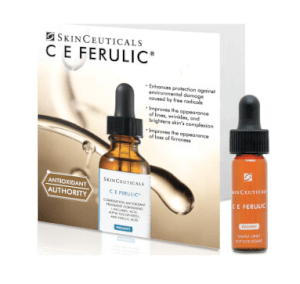 Specifically created for the concern of blemish-prone skin, this product goes beyond treating imperfections to additionally address signs of aging. 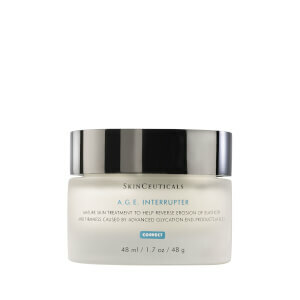 For those with aging, hyperpigmented, acne-prone skin who want clear, smooth and firm skin. Clean the skin thoroughly and cover the desired area with a thin layer in the morning and evening. Alcohol Denat., Aqua / Water / Eau, Methylpropanediol, Glycolic Acid, Diisopropyl Adipate, Octadecenedioic Acid, Salicylic Acid, Hydroxyethylpiperazine Ethane Sulfonic Acid, Citric Acid, Capryloyl Salicylic Acid, Sodium Hydroxide, Polyquaternium-10. Love this and it doesn't make me peel like some do! I love this stuff. I don't typically break out often, but when/if I do, this really seems to help! I started using this after my facialist recommended it and immediately noticed results. I've been using it for a few years now and can't go without it. This is a must have product for me! I can see a huge difference in the smoothness of my complexion. I have very few breakouts if I use this product on a daily basis. has helped my daughter' s completion. it has also lighten some of the acne scars. will continue to use. This is one of my must-have products on hand! This is my go to for breakouts! Other than Retin-A and sunscreen I have never found one product that is miraculous. For me at least skincare has been a matter of trial and error. It also seems that a combination of products yield the best result. To that end I cleanse, exfoliate, moisturize when needed, use antioxidants, skin modifiers (Retin-A) and sunscreen. This product does a nice job of lightly exfoliating. It doesn't cause flaky skin, just keeps my pores clear. This really does what it advertises! My skin is a lot clearer after only two weeks.